The Wheeleez™ difference – Soft yet tough pneumatic tire that disperses heavy loads over a large surface rolling area. Heavy, awkward loads are now pushed or pulled with ease. The Wheeleez™ wheel will not sink or plow into soft sand, soggy grass, or any other unstable/uneven surface. The amazing Wheeleez™ wheel can take your work, play and access needs to new places with ease and style. Utility - Sports - Recreation - Mobility. What will you do with these Go-Anywhere Wheels? For those uses where the wheels will be rolling at higher speeds for periods of time, these high-speed bearings are the ultimate answer! 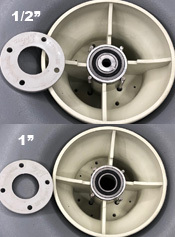 Fully sealed ball bearing inserts are seated in a ring machined to fit the Wheeleez™ Wheels. Bearings come as a set, one set needed for each wheel. Axle diameter available in .5 and 1 inch. 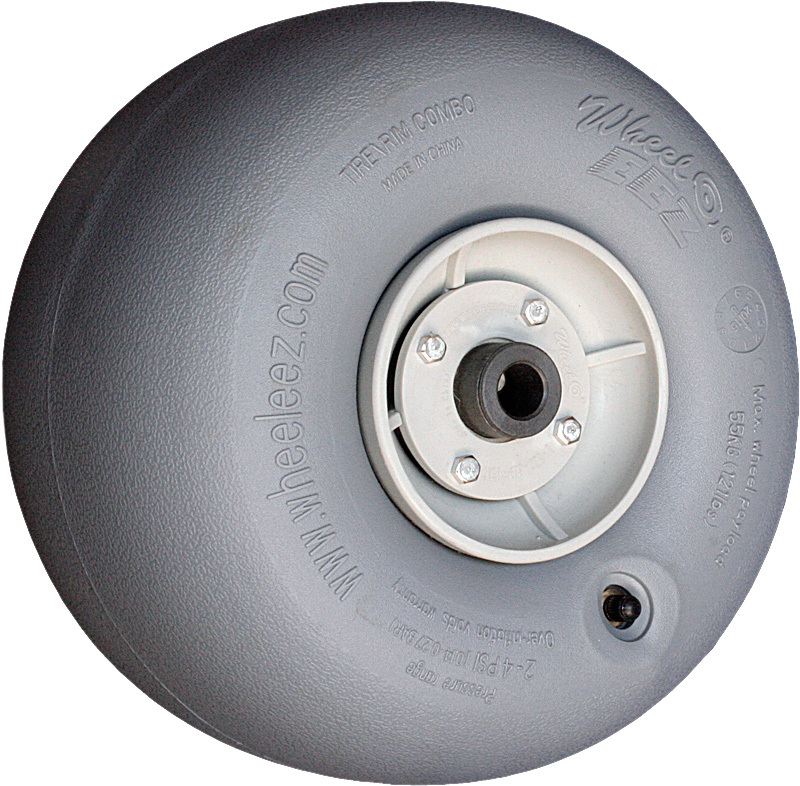 The Wheeleez™ 24 cm wheel has a maximum weight limit of 88 lbs per wheel. The Wheeleez™ 24 cm wheel will get you over terrains that are not accessible to other wheels. The Wheeleez™ 24 cm wheel comes standard with 1/2" sleeve bushing. Wheel weight is 1lb, 8oz. The Wheeleez™ 30 cm wheel has a maximum weight limit of 121 lbs per wheel. The Wheeleez™ 30 cm wheel will get you over terrains that are not accessible to other wheels. The Wheeleez™ 30 cm wheel comes standard with 1/2" sleeve bushing. Wheel weight is 3lb, 3oz. 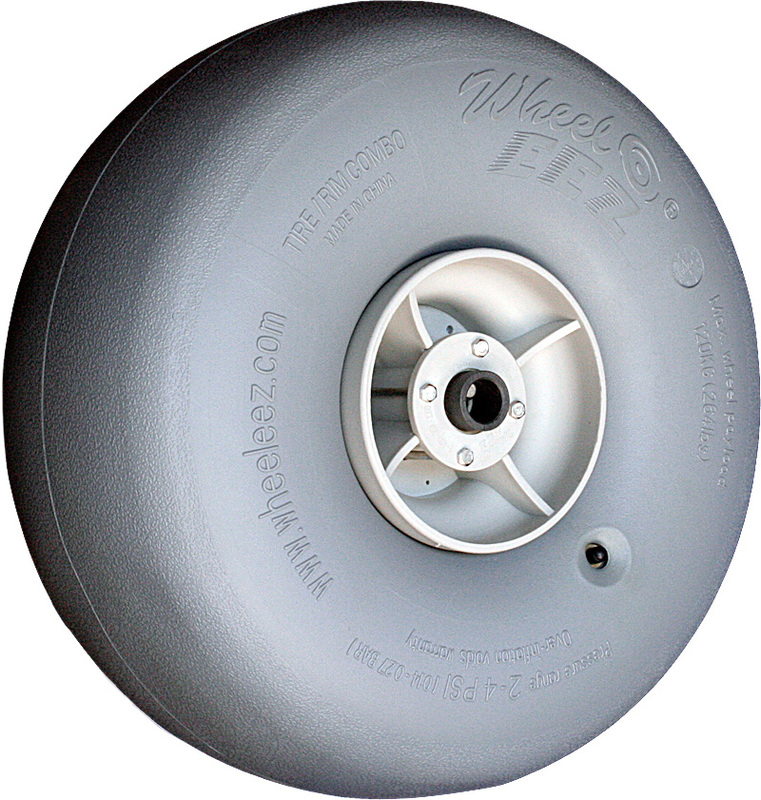 The Wheeleez™ 42 cm wheel has a maximum weight limit of 176 lbs per wheel. The Wheeleez™ 42cm wheel will get you over terrains that are not accessible to other wheels. The Wheeleez™ 42 cm wheel has stainless steel ball bearings in a plastic housing with fiberglass and inhibitors to keep the bearings impervious to outside elements. The Wheeleez™ 42cm wheel comes stock with 1” axle bore and replaceable ball bearing cassettes. Bearing cassettes are felt sealed to keep sand and grit out. Wheel weight is 5lb, 4oz. 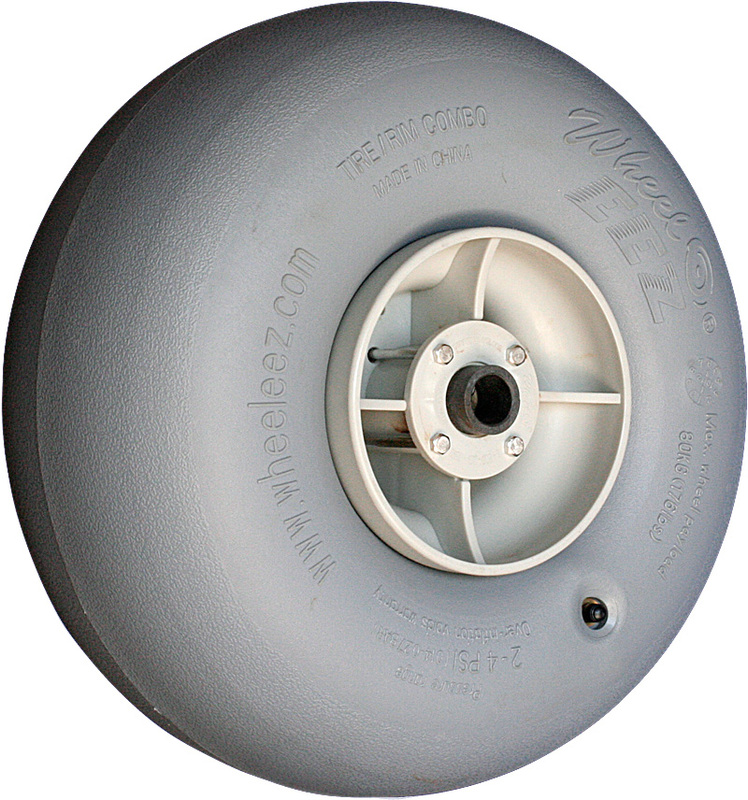 The Wheeleez™ 49 cm wheel has a maximum weight limit of 264 lbs per wheel. The Wheeleez™ 49 cm wheel will get you over terrains that are not accessible to other wheels. The Wheeleez™ 49 cm wheel has stainless steel ball bearings in a plastic housing with fiberglass and inhibitors to keep the bearings impervious to outside elements. The Wheeleez™ 49cm wheel comes stock with 1” axle bore and replaceable ball bearing cassettes. Bearing cassettes are felt sealed to keep sand and grit out. Wheel weight is 6lb, 4oz. Longer bolts are needed when attaching the Wheeleez™ wheels to the rear axle of the TrikeBuggy, as these wheels are wider that the Standard Wheels. Please specify size when ordering.